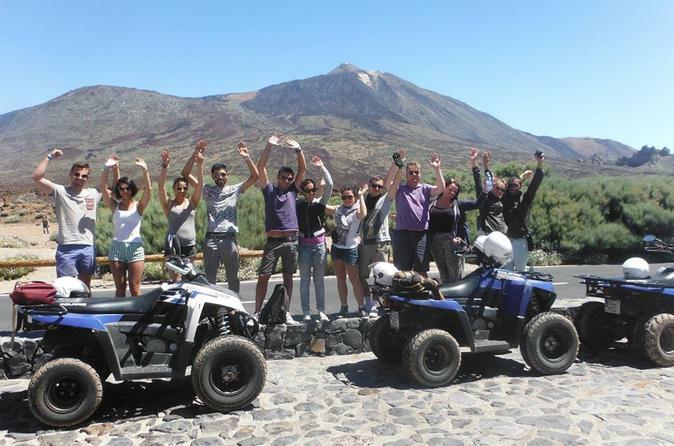 Marvel at the dramatic volcanic landscape of Spain’s largest national park on a 4-hour quad bike safari tour of Mount Teide National Park from Playa de las Americas. Select from two exhilarating routes and then climb aboard a powerful quad bike to experience the breath taking beauty of Mount Teide National Park. Discover charming indigenous villages located on the outskirts of the park; gaze at the fiery summit of the MMount Teide volcano; and absorb panoramic views from spectacular viewpoints.